September 30, 2012 by Meg G.
Sunday night suppers tend to be a bit on the thrown-together side. We always menu plan for the week, but rarely make it all the way to Sunday. This weekend, we actually had our act together and managed to both get to the grocery store AND cook a delicious meal on Sunday. Hooray! 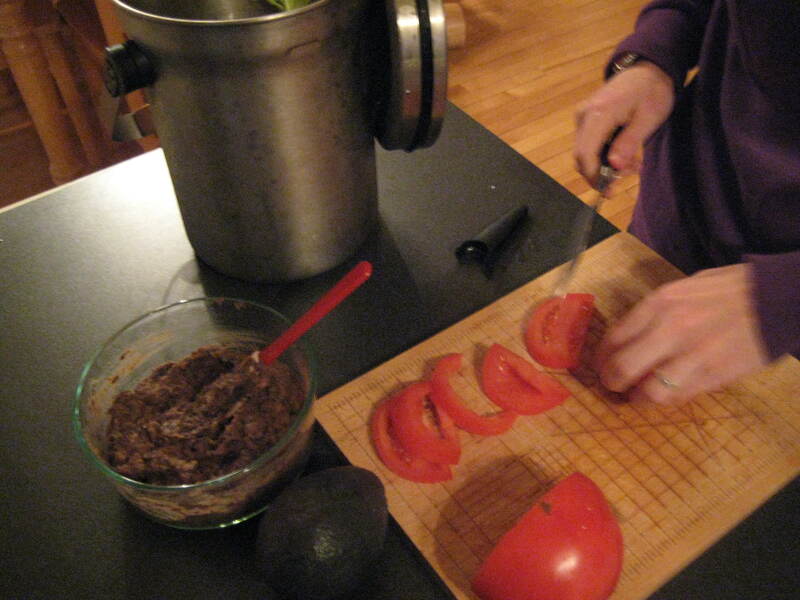 We chose to make smoky black bean quesadillas from Deborah Madison’s Vegetarian Cooking for Everyone because we had a few key ingredients in the house already and they looked like they would be relatively quick and easy. Here goes! 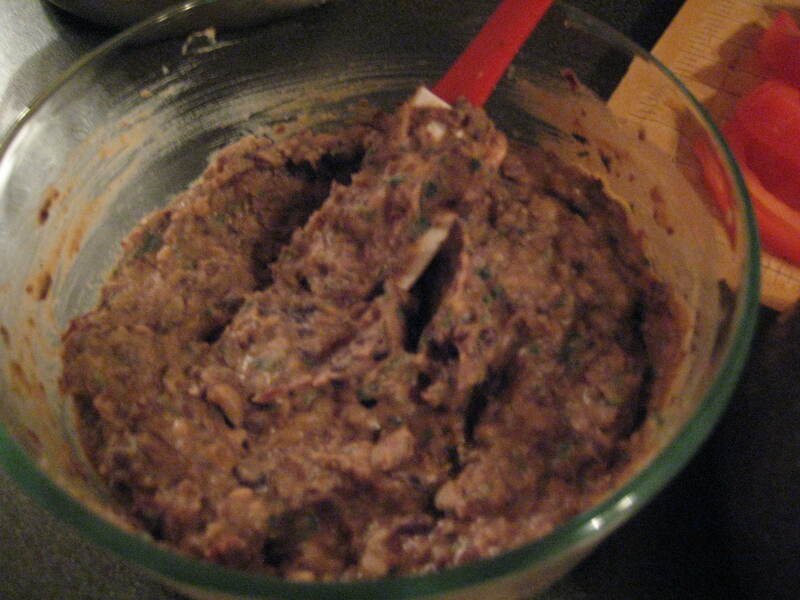 Coarsely puree the beans, scallion mixture, and chile in the food processor. Taste to adjust seasoning. 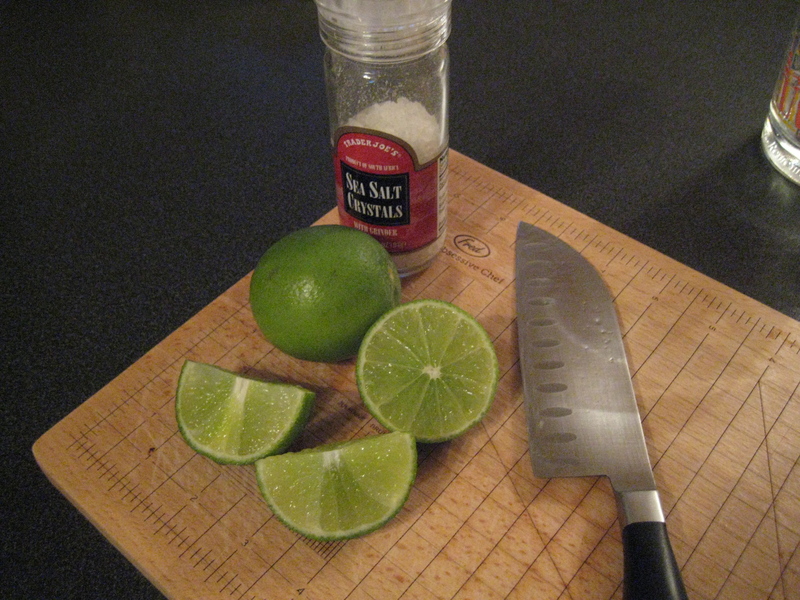 Add lime juice and salt to sharpen the flavors. 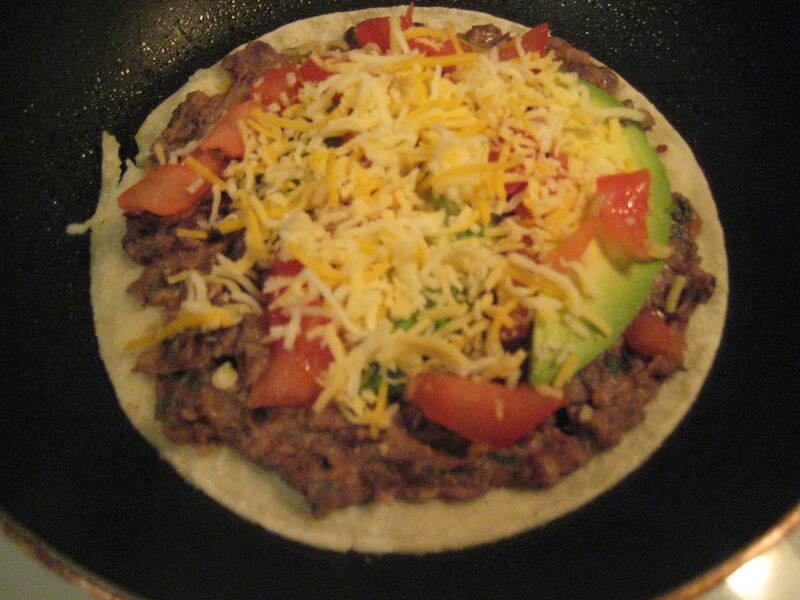 Spread the bean dip on a corn tortilla and place it in a lightly oiled skillet over low heat. 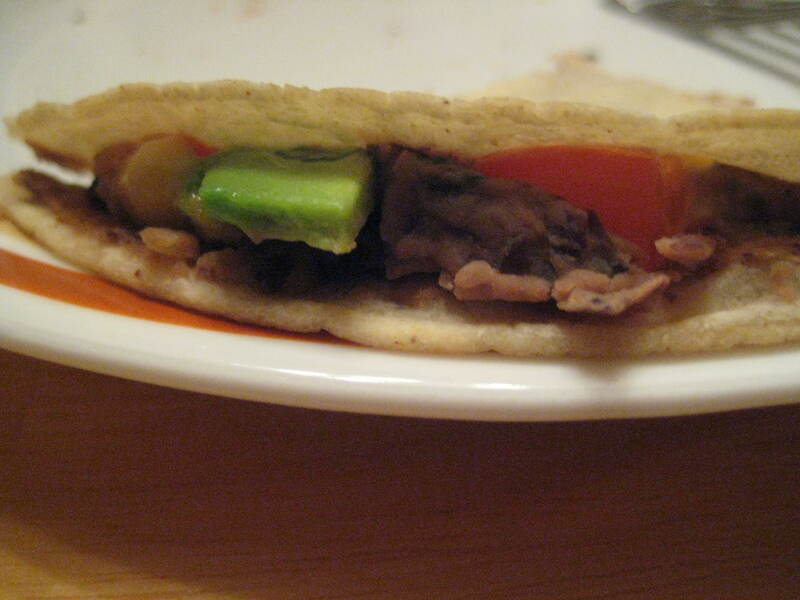 Layer with toppings of choice and then top with another tortilla. 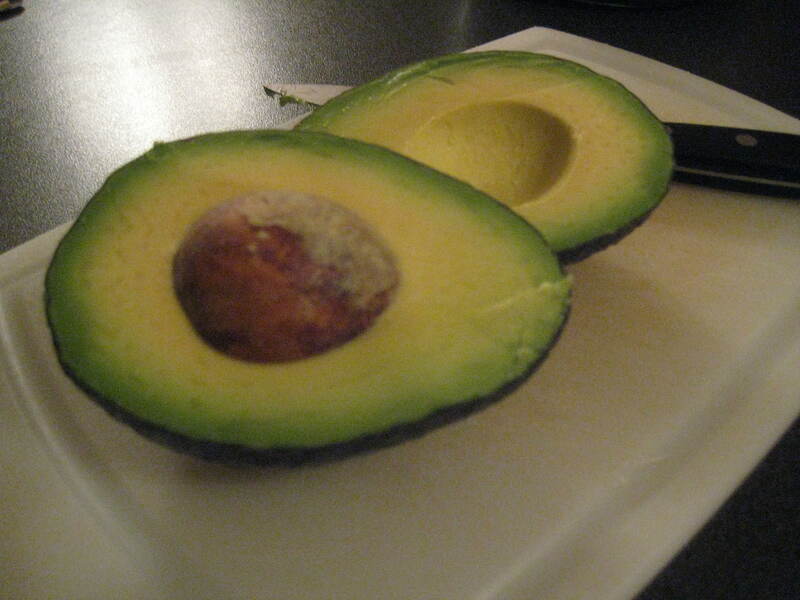 We opted for avocado, fresh tomatoes, shredded “Mexican” cheese blend, and fresh cilantro. Flip over the quesadilla and warm the second side. Hello, yummy! For anyone reading who does not have a food processor, I would like to let you know you don’t need one for these delicious quesadillas. I basically just cooked the beans until they couldn’t possibly be any softer and then I mashed them with a spoon. Voila! Also, I love that I was able to prepare the bean mixture in advance when I had time, and then just cook up the quesadillas very quickly after a little reheat in the microwave.